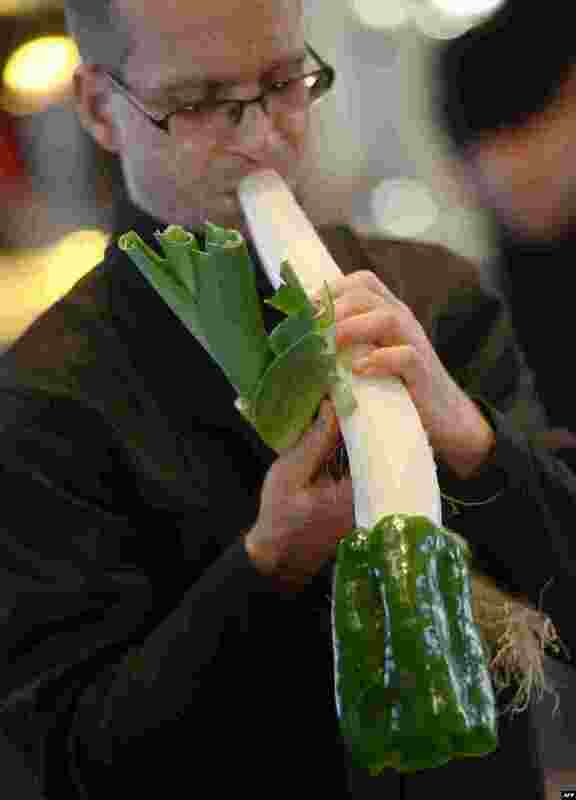 1 A musician of the Vienna Vegetable Orchestra who plays music exclusively with vegetable instruments (carrots and cucumbers instead of guitars and drums) prepares his instruments before a concert for the 100th anniversary of the San Miguel market in Madrid. 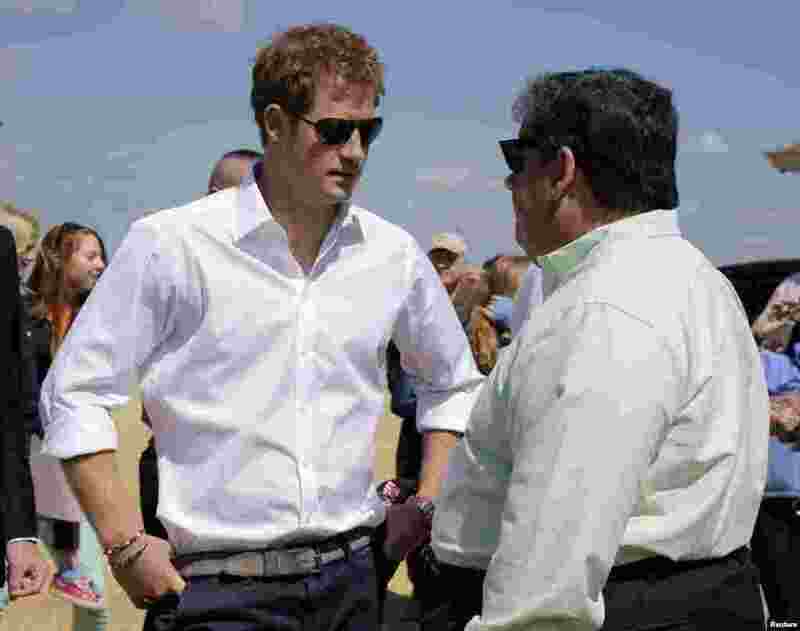 2 Britain's Prince Harry and N.J. Governor Chris Christie (R) talk while visiting the area in Seaside Heights, a beach town hit by Hurricane Sandy last year, in New Jersey. 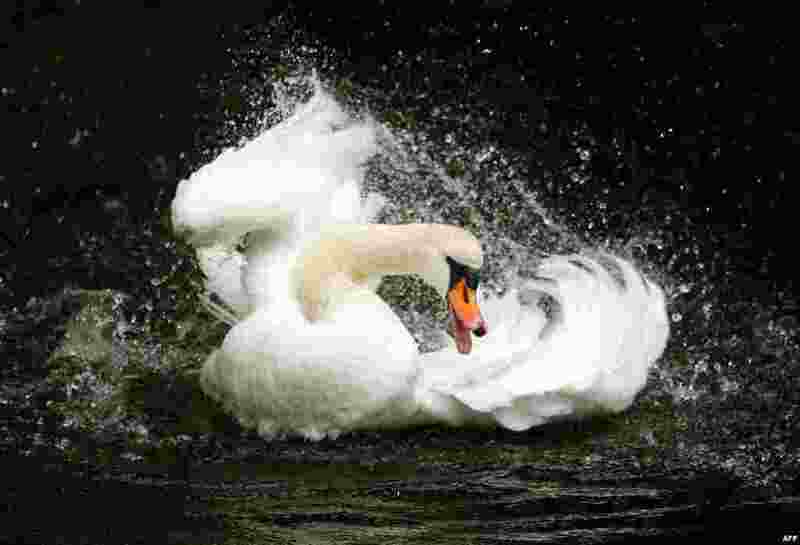 3 A swan swims on a pond at the Palace park in Moers, western Germany. 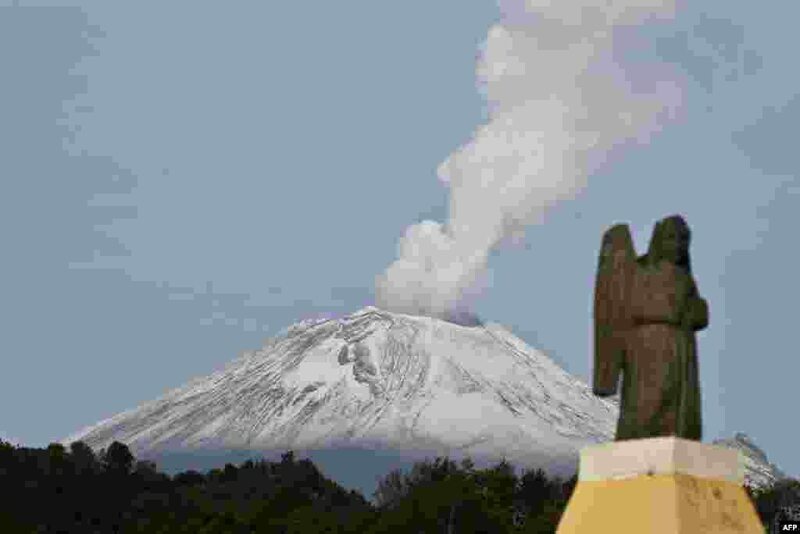 4 The Popocatepetl Volcano, Mexico's second highest peak just 55 km southeast of Mexico City, is seen from Santiago Xalitxintla, in Puebla - spewing a cloud of ash and smoke.